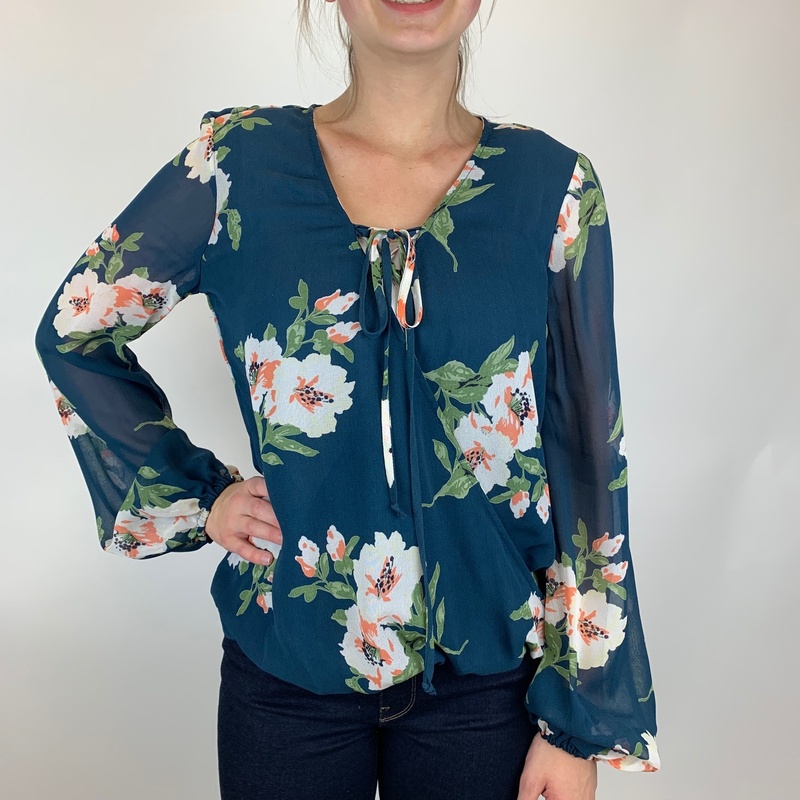 A pretty chiffon feel top with a wrap look and tie front v detail. 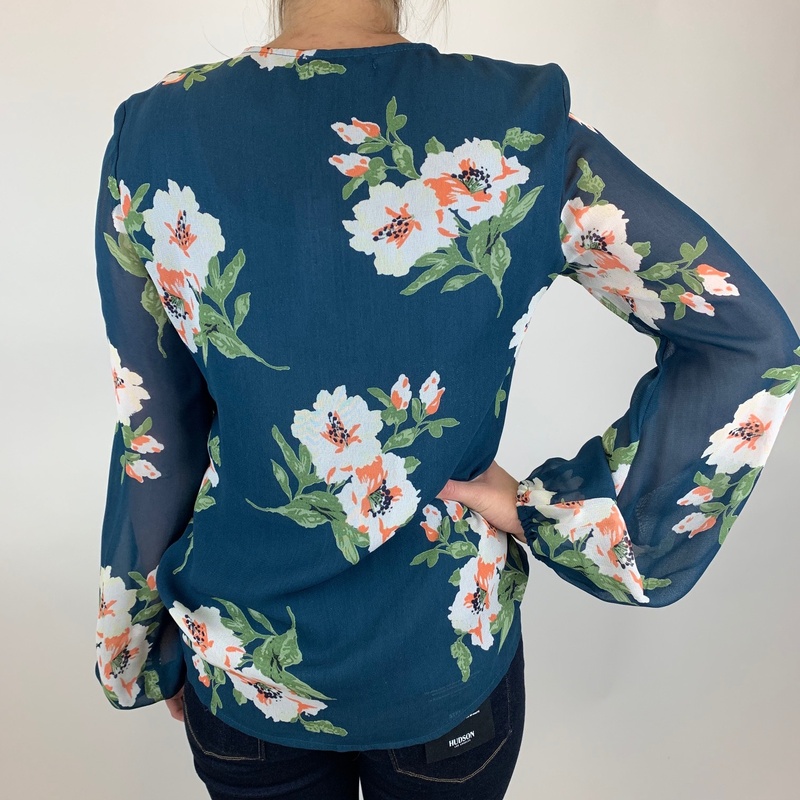 This floral has a baltic blue background with salmon, green and ivory floral. Add a light or a white denim to complete the look.